Sometimes it's hard to decide what kind of hardwood floors to install in your home. 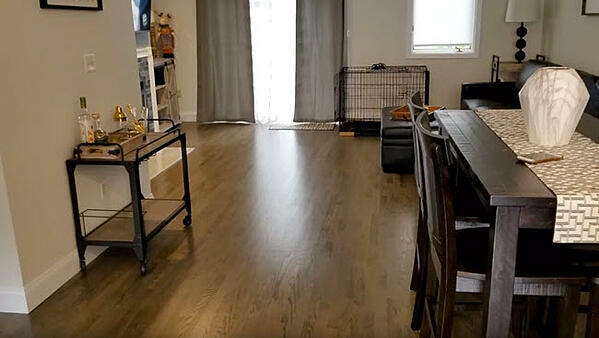 For that reason, we've put together a hardwood flooring inspiration video based on images from installation projects we have completed over the years. 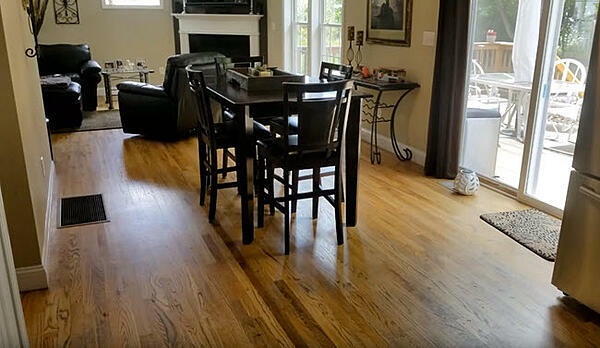 You'll get a feel for different types of wood floors and how they look installed. 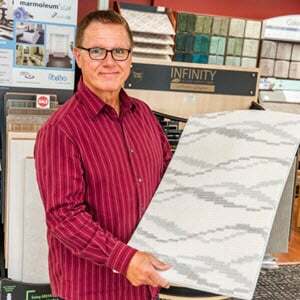 In addition, you'll get ideas on how Floor Decor Design Center handles specific installation situations and special requests. When you start exploring hardwood floors, you quickly realize that you have many types of wood to choose from. For example, you'll find different species of wood such as oak, hickory, walnut and maple, and variations within the species. You'll see examples of different wood plank widths, and discover different levels of shine to the finishes, as well as different treatments such as scraped looks. And, you'll learn about different manufacturers such as Mirage, Kahrs and Armstrong. 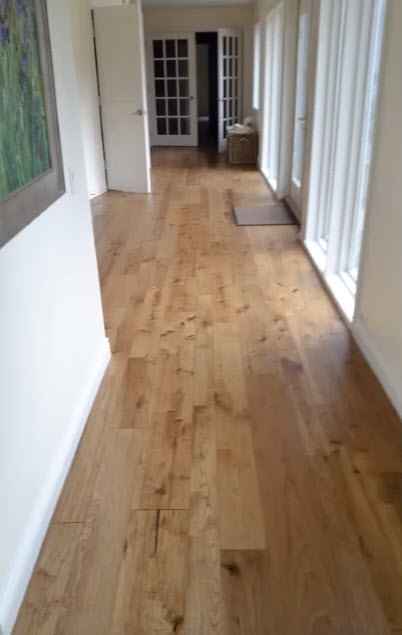 The image below shows Mirage White Oak Rift and Quartered hardwood flooring installed in a residential kitchen, living room and dining room. 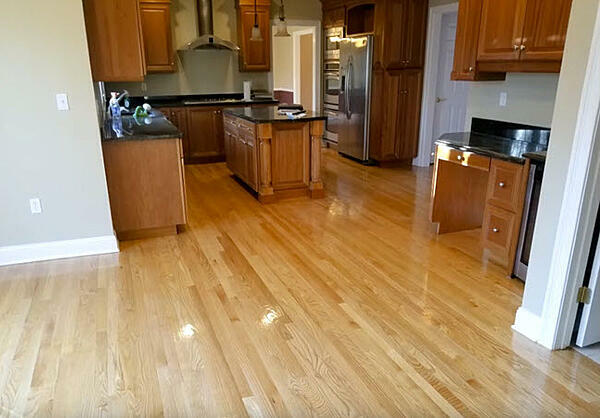 Compare that to Red Oak in this open kitchen/dining area where we sanded and finished the floors in a natural look. Notice the narrow plank widths. Here's an example of Hickory in a wider plank. 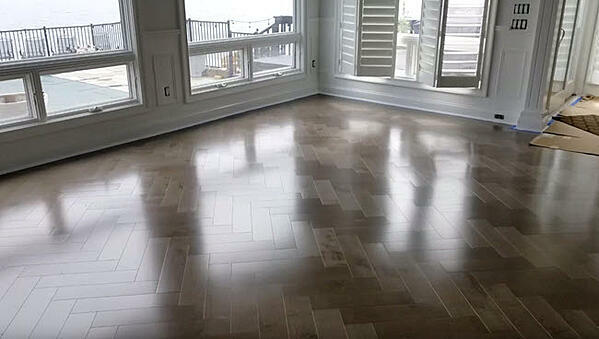 This is Hallmark Monterey Hickory color Ranchero in a residential home installation. Wondering about walnut? 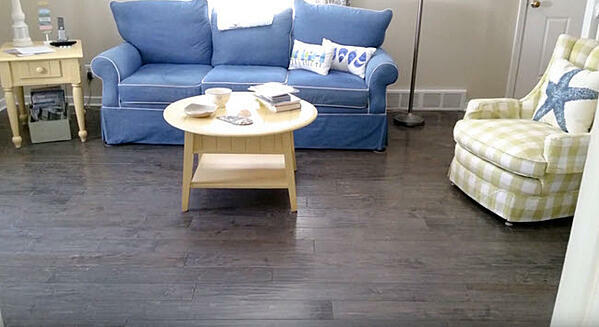 Well, here's a residential family room with a Wego Atlantic Walnut color Natural wood floor. Each species has its own character. Smooth isn't the only look for hardwood floors, especially when you're looking for a more rustic and casual vibe. 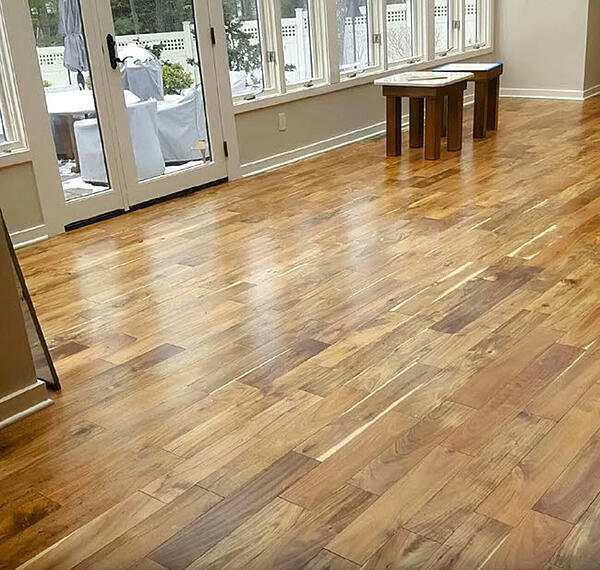 For example, check out Armstrong American Scrape Maple Color Nantucket featured below in this residential living room installation. 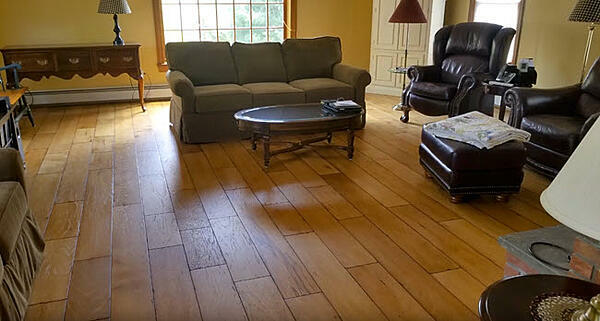 Here's another related product, Armstrong American Scrape Hickory Color River House, in a residential family room. 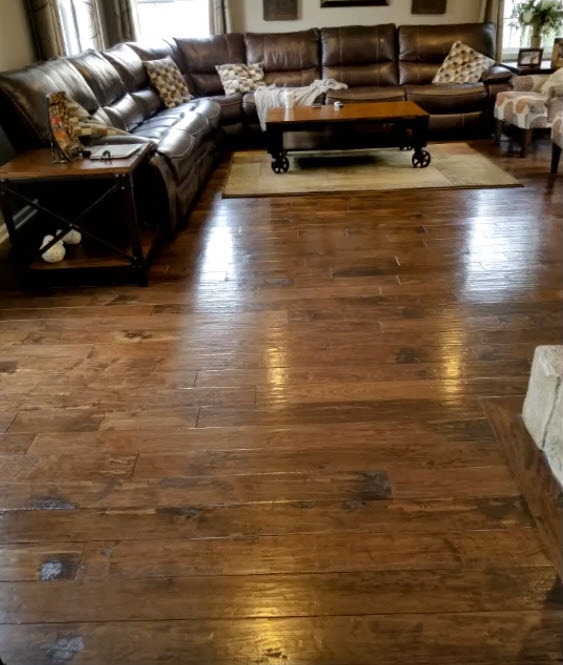 This installation with its wide planks and textured finish adds a historic quality to this living room. 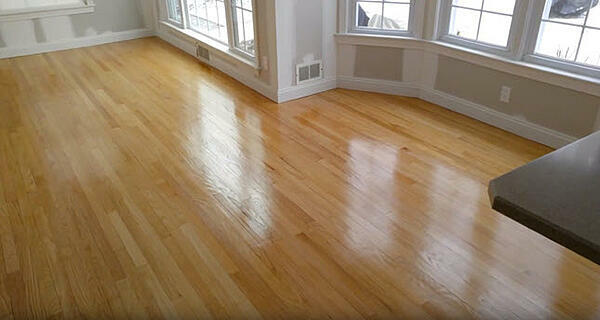 In addition to distressed looks, you can choose different levels of shine to your hardwood floors. For example, perhaps you have your heart set on a high gloss finish. 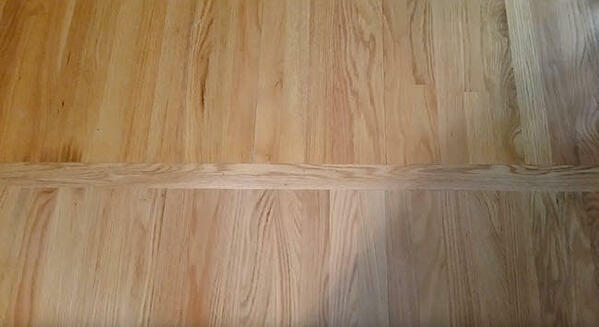 This image below represents Red Oak Select Refinish that has been sanded and finished in a natural high gloss. In contrast, the Kahrs Habitat Collection color Oak Dome in the image below features a matte finish in this residential living room. And here's another matte finish: Red Oak Character Grade Hardwood in a residential living room and dining room. 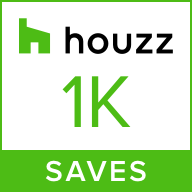 Also possible when you install hardwood floors is opting for custom colors and finishes. Here are a few examples. 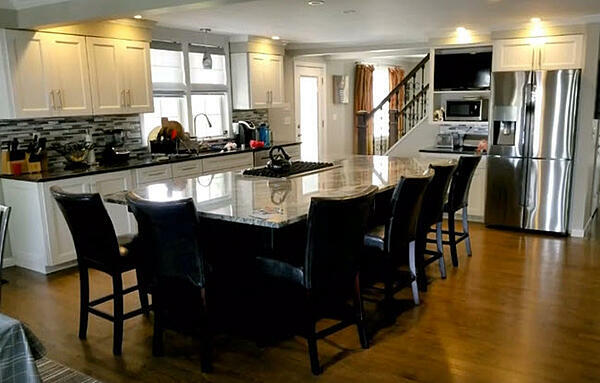 This kitchen remodel features Red Oak Select Custom Color Stain Finish. Next is another Red Oak Select Custom Stained on Site in an upper residential hallway and bedrooms. Below you see Red Oak Select Grade Custom Install and Site Finished in a residential remodel. 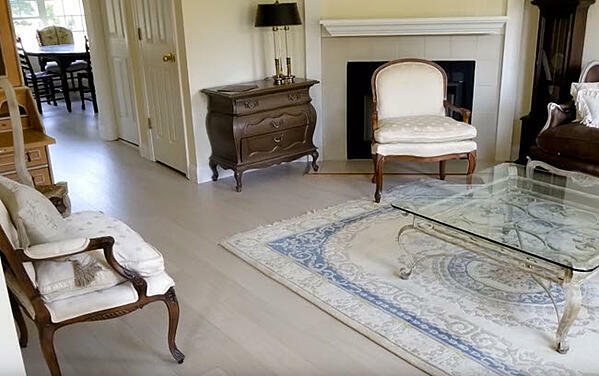 In fact, we featured this remodel in a blog article titled See How New Flooring Transforms 1980s Connecticut Condo. Sometimes, an installation has special requirements. Those are some of our favorite situations! For example, you may want to add on to a space in your home and continue with hardwood flooring. 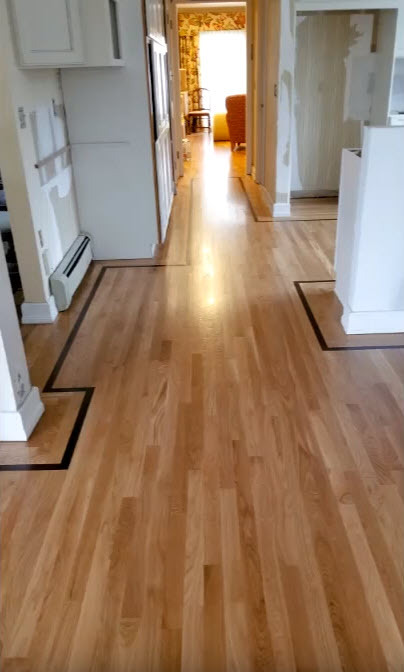 One way to transition from the existing to the new floor is as you see below with a Red Oak Select installation with a vertical board between the two sections. Here's an example of creating a custom border throughout the home, in the hallways and the kitchen. This features Red Oak Select with Custom Peruvian Walnut Border in a residential home. 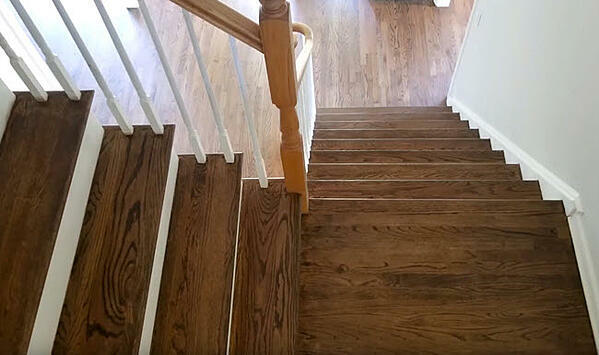 In the image below, a homeowner asked us to change the original natural finish of the stairs to match the custom stain of the living room and dining room floors. It's an example of a Custom Stain Stair and Landing done on Site. This next example features a residential remodel where we installed Red Oak Select Grade Custom, sanded and finished it on site. 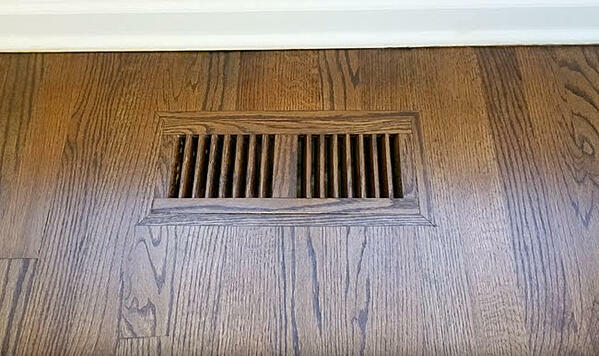 If you don't like the look of metal air vents, you might like this particular solution where we installed Flush Mount Floor Vents to match the wood floors. 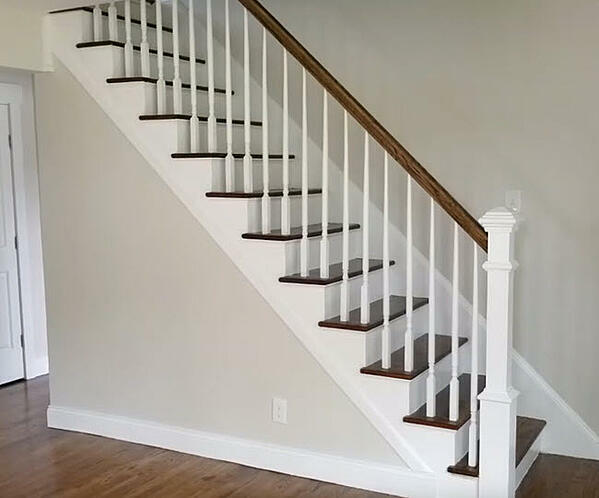 Or, perhaps you need a stair railing. Here's an example of a Red Oak Select Grade Custom Install Railing. Or, perhaps you have in mind a glorious custom pattern installation such as this magnificent Mirage Maple Herringbone in Color Greystone. Yes. Watch the video! 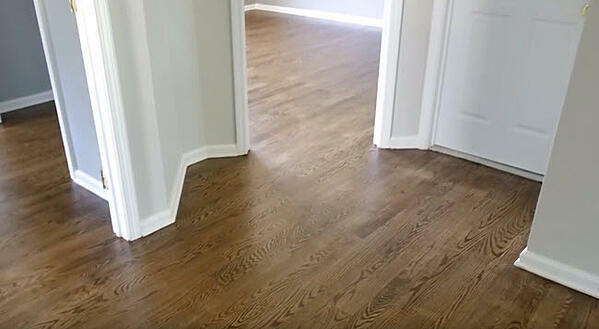 It's only 1:09 minutes and is sure to inspire you as you consider wood flooring for your home. When you visit one of our two showroom locations in Middletown or Orange, you'll be able to see these products first hand.